One of the popular an Event Management system on the internet nowadays is Eventbrite. It is a tool that allows us to create an event and manage all of the different aspects of that event. On Eventbrite, it works from tickets to sales, the location of the event. Even you will get tools for marketing the event so that you can share on the event on social media and much more. All that, you can handle from a single dashboard which is totally free until the last. But still, event managers are looking for something less to something more, or it should be the perfect one for them otherwise they will never proceed further with it. We also hear some issues on Eventbrite regarding instant support, also the main part which is lack of features or some specific features users want to look on Eventbrite. When it comes to free event management system, or hosting free events, then after Eventbrite, Event Smart is an excellent choice. As we already mention that it is a free event management system on which you can host unlimited events for free. So you can create and manage unlimited event simultaneously with one account. 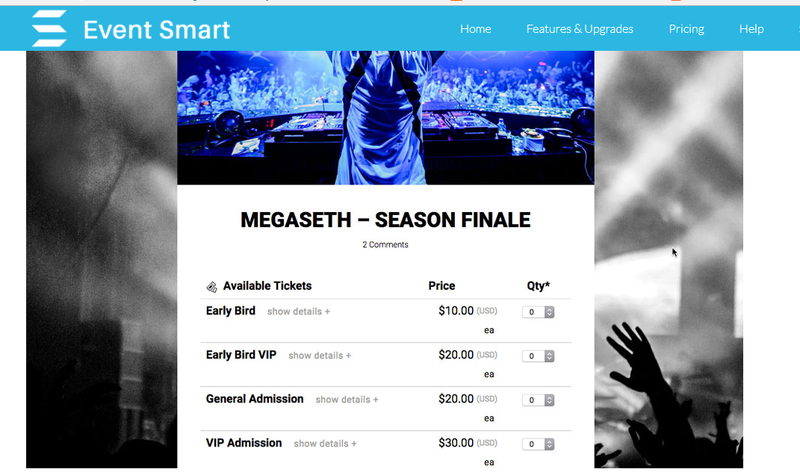 If you are looking for any free campaign of tickets then you can do it with Event Smart as well. You can sell unlimited tickets for free so that everyone can afford them. Event Smart work for every country, so you can use it in your own country and currency. It has many other options which include validating tickets at the door by generating bard code or QR code, collect all data with registration forms, managing the payment, Registering multiple events as once, customizing the design and proper tracking of your events through Analytics. Peatix is an another better or an alternative option if leaving Eventbrite. It can be little costly for you but it is worth using its features for your event. With its interactive interface, you can create events in just a few minutes. It all simple filling process in which you have to put the event’s date, time, place and the general description of it. You can avail the system in its App as well, so you can gather the matrix easily and it makes the system more portable. It also gives you option for better reach to your already known ones through Peatix email and in-app notifications. Eventzilla is also free event management system only if you are using it for free events. However, if you want to host a paid event you will be charged $1 fee with every ticket sold. Unlike other platforms where you need to pay more than $1 which includes other processing fees as well, but Eventzilla charges flat $1 only.It provides you multiple payment options too. Using Eventzilla you can create Email Invitations as well. It also includes social media integration to get your event a higher reach to audience. Similarly, as Eventzilla, Ticketleap is also free when it comes to creating free events so you can create unlimited free events without paying a single penny. However, paid events will cost you 1$+2% its fee with 3% card processing fee as well. So overall it can be a costly option for you if compared to above options. But with the number of customizable options, and with a free customer support to get your event an organic boost, it can be a good fit as an Eventbrite Alternative. It is one of the highly rated/costly sites from all of the above-given ones. This site provides event creation through a mobile device which increases the portability of this system. It also has customizable WordPress widgets so you can create a custom events listing page and sell tickets right from WordPress. You can implement Analytics to get a deep and better look on your events. It also has Check-in capabilities for iOS devices as well. When it comes to fee, then Picatic charges you 2.5% commission +$1 fee for each ticket sold. It can be a bit costly, but you should give it a try, maybe it can be a good fit for you. These above given best Eventbrite Alternatives are working as the way an event management system should be, so you can give them a try if you are giving up on Eventbrite. We never say that Eventbrite is not a good option but for the case or to try some new and different event management system to create and manage the event in a different way, you sometimes need to try some alternatives.